Sumitra Vivek with a masters in economics from University of Madras has learnt yoga over the last fourteen years. She has participated from the basic course way back in 2002, then completed each and every course. After completing the three year Kriya Yoga course in Bihar School of Yoga, presently she attends Pratyahara Dharana Shibiram at Satyananda Yoga Centre. 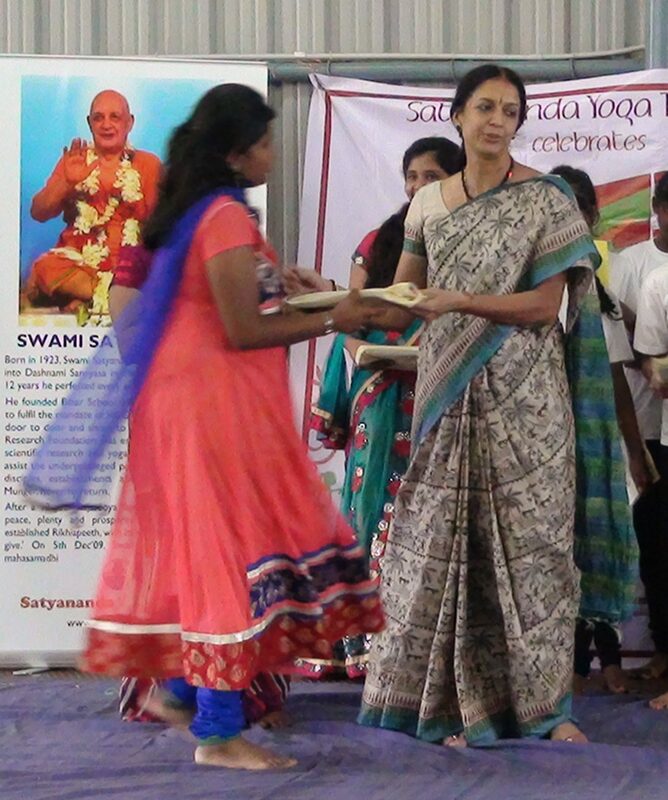 With this rich experience she has also started teaching yoga to adults and children in schools. She is instrumental in designing a curriculum for teaching yoga from the K – 12 space under the supervision of Sannyasi Shiva Rishi. Her dedication and enthusiasm is infectious. Her conviction and sincerity will definitely touch your core!